A new report about school breakfast consumption in Allegheny County shows more students eating breakfast but wide variation occurring within districts. 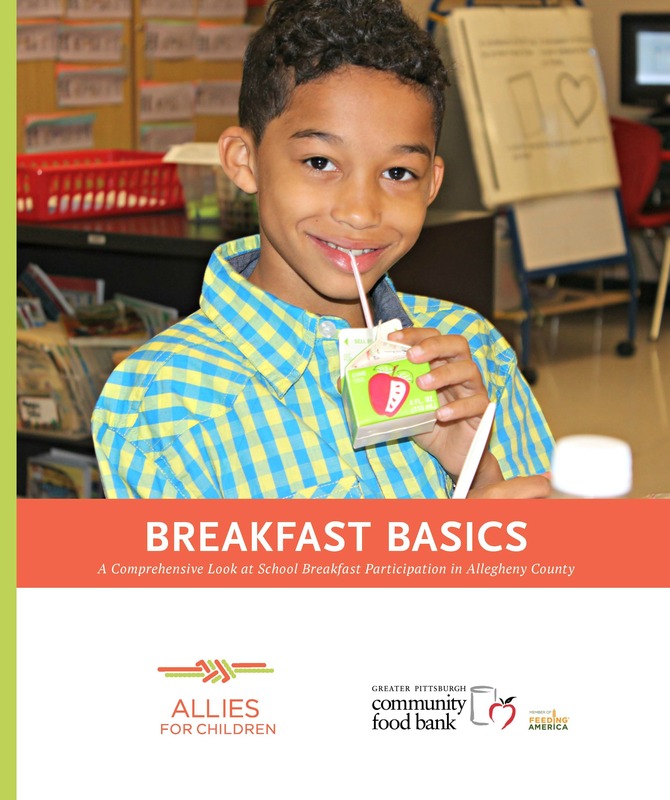 Breakfast Basics: A Comprehensive Look at School Breakfast in Allegheny County highlights how school policy changes can help combat childhood hunger and increase the number of breakfasts schools serve. The report, produced by Allies for Children and Greater Pittsburgh Community Food Bank, is based on recently released data from the Pennsylvania Department of Education and local case studies. It showcases how the Community Eligibility Provision–an option that allows eligible schools the chance to serve free breakfast to all students–is being implemented at Pittsburgh Public Schools. 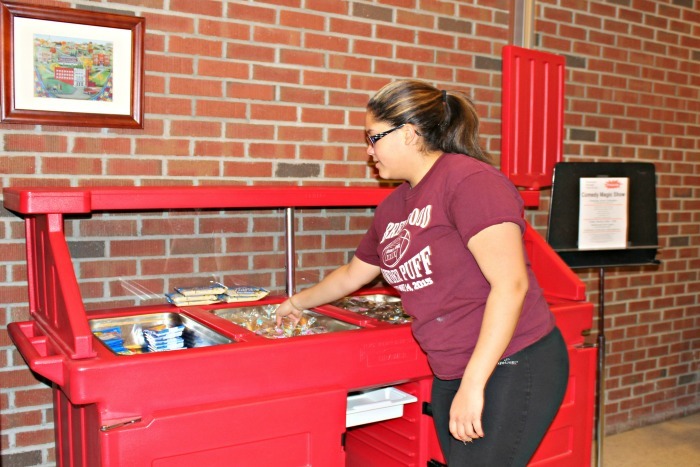 The report also illustrates how alternative breakfast models used at schools, including Brentwood Middle/High School, Grandview Upper Elementary School and Penn Hills High School, significantly increased the number of students starting the day with a nutritious meal. At Grandview Upper Elementary School, before the school started serving students breakfast in the classroom, about 170 children ate breakfast each day. Now, that number is closer to 465 students. In 2013, only one school district–Pittsburgh Public Schools– served breakfast to at least half of their student population. In 2015, four districts–Cornell, East Allegheny, Pittsburgh Public Schools, and Woodland Hills– served breakfast to that amount. During the same time period, the number of districts serving fewer than 10 percent of students decreased from 15 to 13. 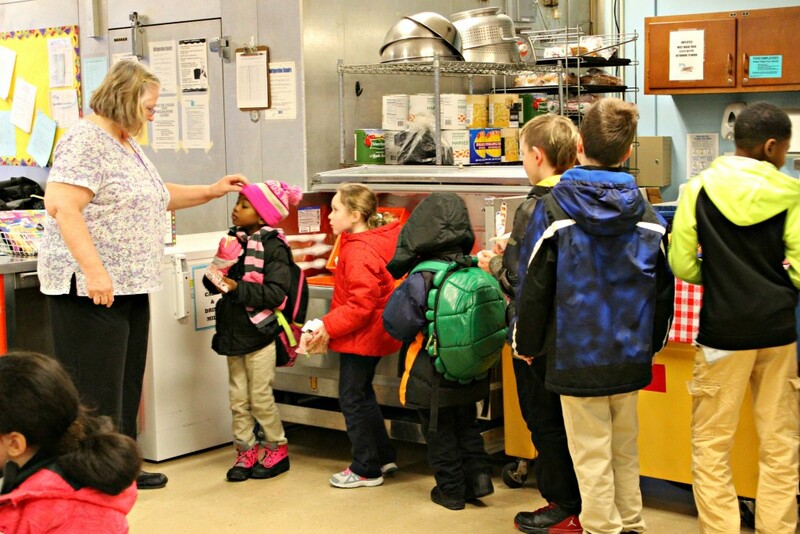 The impact of school breakfast goes well beyond anti-hunger initiative. Researchers point to school breakfast as a tool in improving educational environments, helping children learn, and enhancing their overall health. I am pleased to see the increases in school breakfast participation in Allegheny County schools. Healthy eating is critical for all children and providing meals at school is one important way to help all of our children, particularly the most vulnerable, succeed academically while also improving their health. Addressing the food access and nutrition in Allegheny County is an important part of the Live Well Allegheny campaign, and I commend the schools in their efforts. ~Dr. Karen Hacker, director of the Allegheny County Health Department. The effort could help Pennsylvania improve its school breakfast consumption rates. Earlier this month, the Food Research & Action Center ranked the state overall 40th in school breakfast participation. 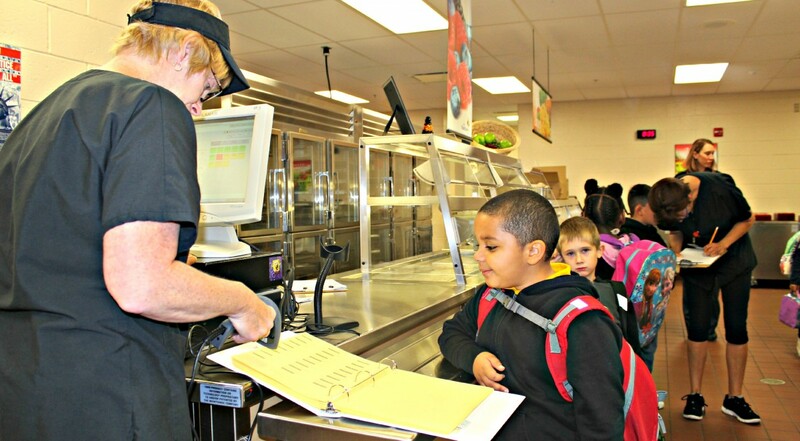 In an accompanying report, Pittsburgh Public Schools made the list of large school districts reaching a target percentage of students eating breakfast each day.